Starting on April 13th, 2017, we will be offering some fantastic Workshops for all ages! Choose your favourite and we will instruct you as you create a beautiful finished work of art! 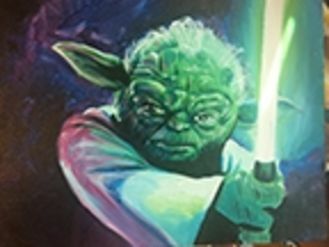 These workshops are inspired by Star Wars and you can choose from Yoda, Darth Vader, Obi-Wan Kenobi, C3PO, or BB8!! Fun for kids, adults, and the whole family! Get more info: STAR WARS WORKSHOPS and also check out our FULL EVENTS CALENDAR for all dates and times!